A fresh pot of coffee was brewed. 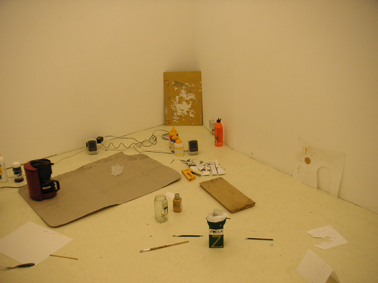 In the inner gallery space the CD-player and the small speakers were placed on the floor by the sheet of cardboard. 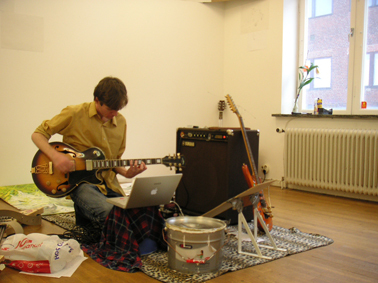 All the songs which had been recorded so far in the gallery were played. 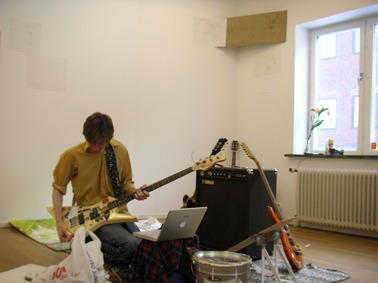 More guitars, bass, percussion and vocals were added to the new song, work on which had been started the previous day. The completed song was named "The Radius of my Heart". 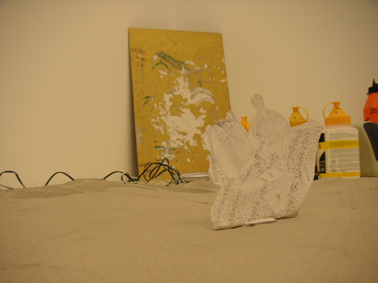 It was then added to the list of songs played on the CD-player in the inner gallery space. Work on a new song was begun, with guitars being recorded.